Pat’s House Watching of Sebring, Florida, has earned accreditation from the NHWA for the third year. A long-time New Hampshire resident, Owner Pat Riess retired from the construction industry in 2012, when he sold his share of the family business to his brothers and decided to winter in Florida and summer in New Hampshire. He was soon working at a local golf course in the pro shop; his work ethic and customer service skills earned him a full-time position, so he moved to Florida full-time. Pat is starting his third year in business. It was established in 2015 when he was just trying to help some of his friends by watching their Florida homes as they went north for the summer months. Living full-time in a resort-style, over-55 community, Pat saw the need for a true professional Home Watch business, as he saw several residents offering a form of house watching to all the snowbirds. As the entrepreneurial juices stared to flow and the business started to become a reality, Pat found the NHWA and was glad to hear he didn’t have to reinvent the wheel. Hurricane Irma was a true test for all the residents in Highlands County and a real test for Pat’s, by performing pre- and post-hurricane inspections and assisting in the aftermath with roofing, siding, and trim issues, by coordinating repairs. All of his clients were kept informed and even sent pictures to show how their houses made it through the storm. 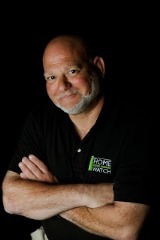 Pat has earned the designation of NHWA Certified Home Watch Professional. 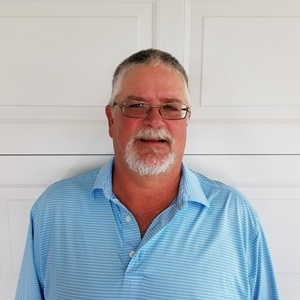 In his past career in the metal building construction industry, Pat belonged to the Metal Building Contractors and Erectors Association and served for several years on the Board of Directors of the New England Chapter. As President for two years, he was nominated to the National Board. Pat’s House Watching serves Sebring, the Greater Sebring area, and all of Highlands County. You can reach Pat at (863) 314-6821 or (603) 481-0196, or at RiessPat@gmail.com.